Mike Fong, a Los Angeles Community College District trustee and community leader, announced his candidacy for the State Assembly on June 9. He is seeking to represent Assembly District 51, which will soon be vacated by U.S. Rep.-elect Jimmy Gomez. A special election to fill the seat is expected to be scheduled for later this year. As a trustee of America’s largest community college district, Fong works to increase student access to higher education, expand workforce training, and improve the quality of educational opportunities at Los Angeles’ nine community colleges. 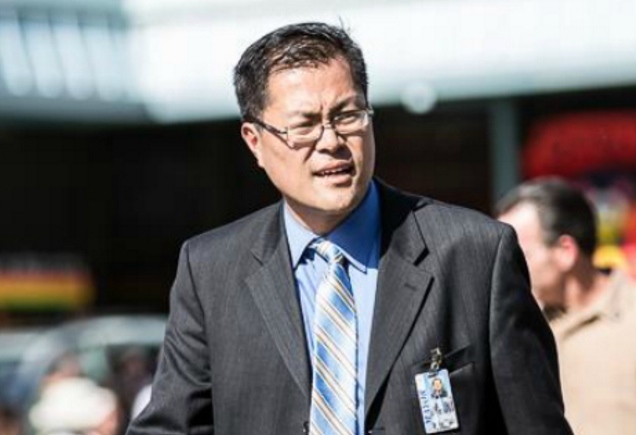 Fong serves as director of policy and government relations for the Los Angeles Department of Neighborhood Empowerment. In this role, he leads a team of professionals on policy development and government relations in empowering and collaborating with Neighborhood Council board members, community leaders, and stakeholders in their efforts to improve the lives of residents throughout the city. He previously served as the East Area director for Los Angeles Mayor Antonio Villaraigosa. In this capacity, he was the primary liaison between the Mayor’s Office and communities in the northeast and east areas of the city. Fong was also the policy director for workforce development in the Mayor’s Office, helping to create job training programs and opportunities for youth to participate in the Hire LA Youth Summer Internship program. As a field deputy for former Los Angeles City Councilmember Ed Reyes, Fong served as the primary liaison between the council office and the communities of Lincoln Heights, Chinatown, Montecito Heights, Solano Canyon, Echo Park, and Temple-Beaudry. He also worked for the Los Angeles Economic and Workforce Development Department on education programs, youth employment, and financial empowerment. His record of community leadership includes serving as immediate past chair of the PBS Southern California Asian Pacific Islander Community Council, a member of the White Memorial Medical Center Community Leadership Council, and southern vice chair of the California Democratic Party Asian Pacific Islander Caucus. A lifelong Angeleno, Fong graduated from CSU Northridge with a Master of Public Administration in public sector management and leadership, and from UCLA with a B.S. in psychobiology and a minor in education. The 51st Assembly District has played an integral role in Fong’s life. He attended Bravo High School, Eagle Rock High School (summer school), Lincoln High School (summer school), Griffith Junior High in East L.A. (9th grade), Nightingale Junior High (summer school), and Castelar Elementary School in Chinatown. Fong’s endorsers include Los Angeles City Councilmember Paul Koretz, a former member of the Assembly. Other candidates to declare their candidacies include Franky Carrillo, who spent 20 years in prison before his murder conviction was overturned, and community advocate Wendy Carrillo. The Carrillos are not related.